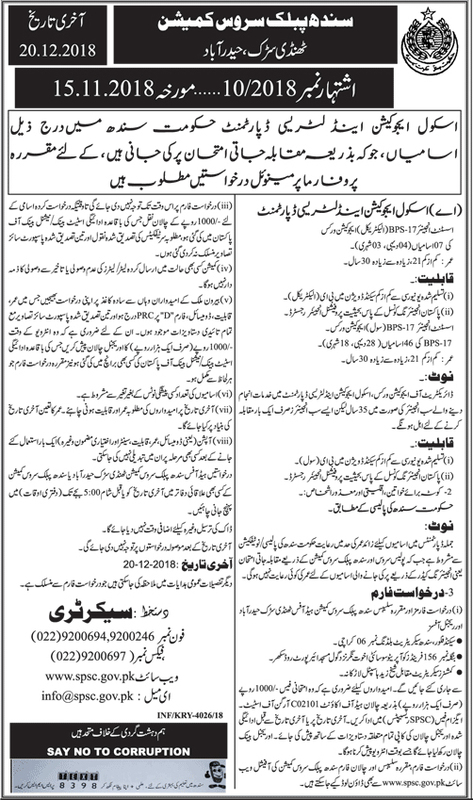 Sindh Public Service Commission Job december 2018. SPSC Jobs 2018 Sindh Public Service Commission www.spsc.gov.pk: apply online Through www.spsc.gov.pk.Sindh Public Service Commission SPSC new jobs 2018 are available. Advertisement No.10/2018. There are around 53 new jobs available. 53 new jobs are available. All candidates are required to apply online on the SPSC website: https://www.spsc.gov.pk.